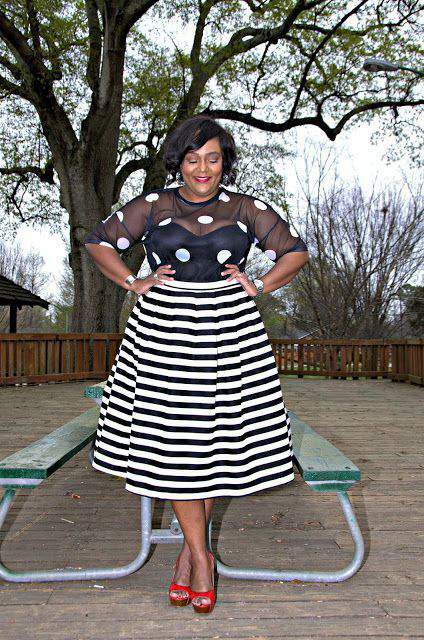 Fashion Spotlight: Meet Plus Size Style Blogger, Nikki of NikkiFree Style! Who said age has anything to do with style? 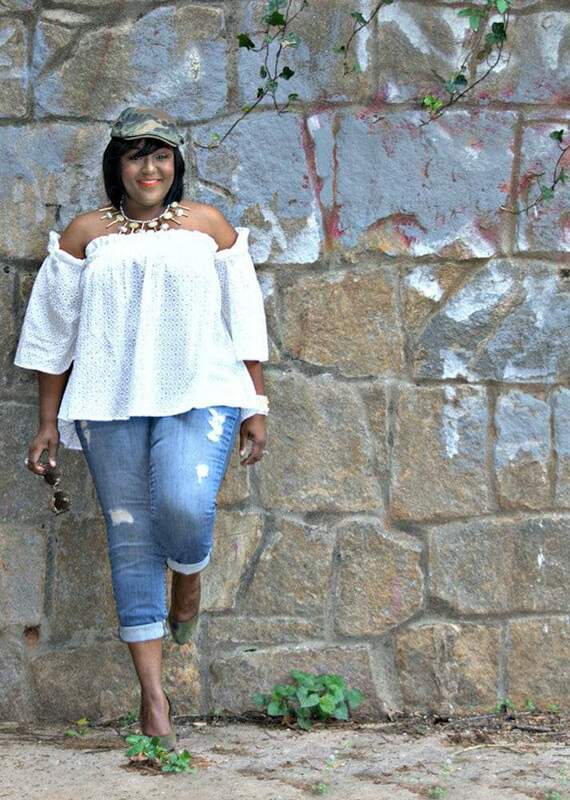 Today this 40+ blogger shows off her style and talks inspiration! Hope you enjoyed meeting up with Dasha of Windy City Wardrobe last week. This week, we touch base with Nikki of NikkiFree Style. 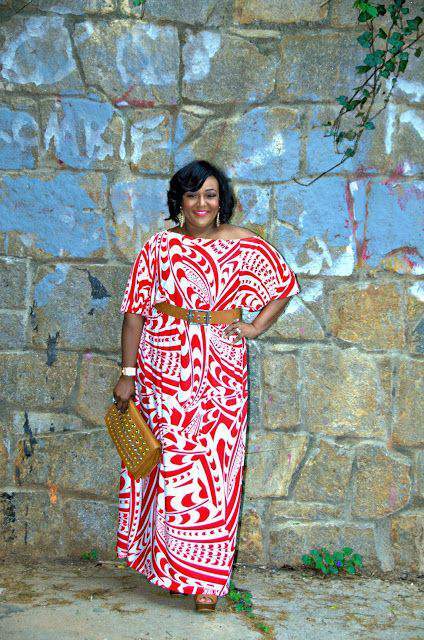 Nikki is an over-40 blogger with amazing style! 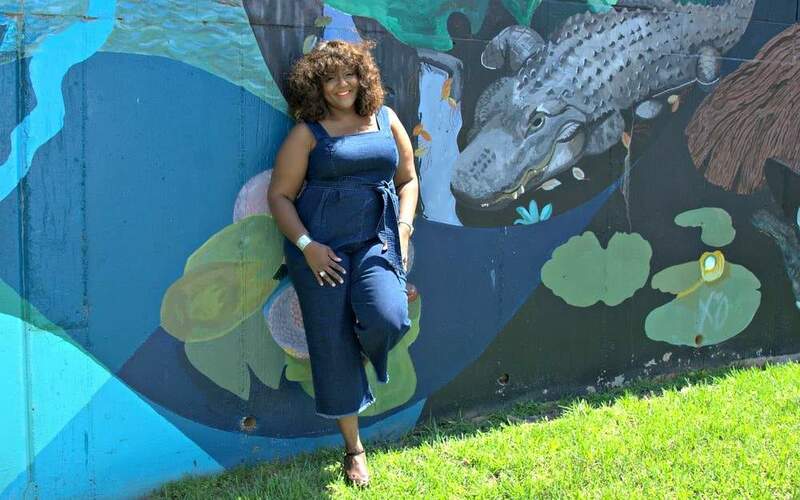 She rocks rock crop tops, denim looks, and sophisticated evening looks all with ease and she shows plus size women how great it can be to break all the fashion rules associated with size or age! Nikki’s style is so fab that she was selected as one of Redbook Magazine‘s Real Style Award winners in 2015 and graced their September cover! 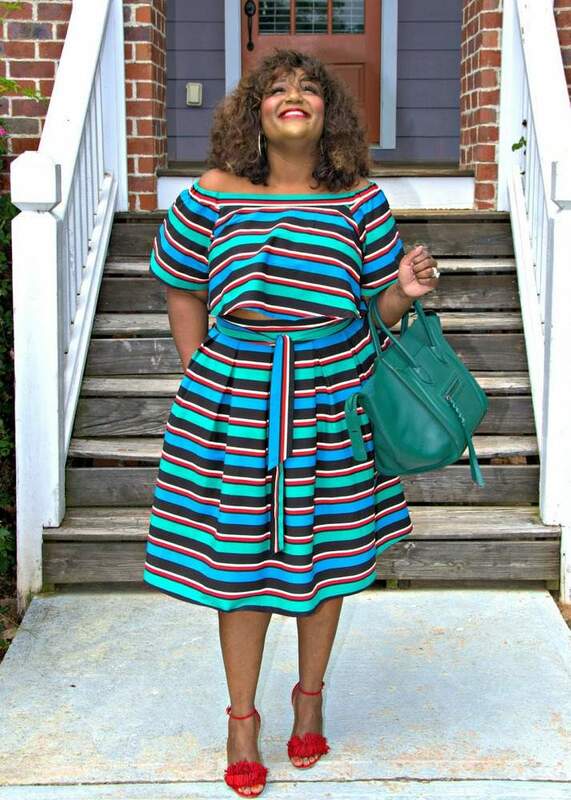 We’re so excited to bring this awesome blogger to you today as NikkiFree Style is definitely a plus size blogger YOU NEED TO KNOW!!! 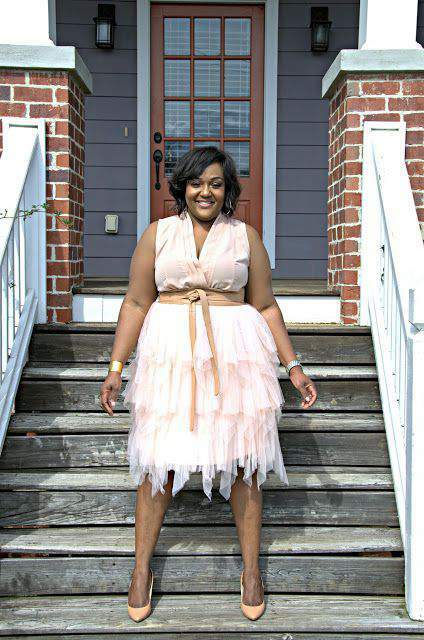 Meet Plus Size Style Blogger, Nikki of NikkiFree Style!!! I have always loved fashion and style, and have always taken pride in my ability to identify fashion trends before they become popular. So my husband Russell really inspired me to start blogging after noticing that people would often stop me on the street and ask about an item I was wearing. I’m a former newspaper reporter as well, so I just combined my love of writing and fashion to create NikkiFreeStyle.com. I blog for fun. The planning that goes into it sometimes feels like a full time job, but it really is a labor of love. I love it more and more everyday because of the feedback I get from my readers. I love reading emails and direct messages from my followers who say they are inspired by my looks and my confidence. My smile and my shoulders. Hey, the clavicle is doesn’t gain weight! LOL! The greatest challenge for me is finding must have items in straight sizes that are NOT available in plus sizes. Zara is a perfect example. I love their clothes, but I am a 16/18 and their options are so very limited for women with curves. I find this to be the most frustrating thing about being plus. And retailers are missing out on billions of dollars because they refuse to expand their lines to a community that spent $17.5 billion in sales between May 2013 and April 2014 on plus size apparel. That’s up 5 percent from the year prior, according to market research firm The NPD Group. My curves and the confidence that comes with having them! I haven’t been plus size my entire life. I gained a significant amount of weight while in college at FAMU. I mean, while home on break one fall, my childhood neighbor asked if I had literally eaten the Rattler, my college mascot. While it was funny, it made me really realize that I had gained more than 35 pounds in 2 years. Ugh! But I embraced the curves because I also noticed that they gave me more confidence and people really started to see me differently. I think my curves enhanced my look, and I started to pay more attention to how I dressed my curves. Being plus size has been a hell of a confidence booster! Connecting with women who need that little extra encouragement to step outside of their comfort zones. That has really been my favorite thing about blogging. The feedback has been tremendous and it makes me feel like I am doing something bigger than myself. I LOVE Eloquii and their stylish options for work and play. They have quickly become my absolute favorite go-to site. I also love independent designers Reuben Reuel for Demestiks NYC, Jasmine Elder or JIBRI and Nicci Hou. Each have great quality and classic pieces that transcend trends. I also appreciate what Karina Dresses has to offer the stylish traveler. Their dresses are fun, versatile and wrinkle free! Years ago we could only shop popular retailers like Macy’s, Nordstrom, Lord & Taylor, Dillards because they had (limited) plus size sections and selections that really didn’t cater to youthful and trendy shoppers. Most of the items were not flattering or very fashionable. But the number of online retailers and independent designers that cater to the plus size/curvy fashionista have changed the game over the last 5 years. Plus size bloggers have definitely been in the forefront of this change, pushing retailers to recognize and RESPECT our community and our spending power. That curvy women should adhere to those antiquated fashion rules that say we shouldn’t wear crop tops, body hugging clothing, stripes, bold colors, etc, or that women of a certain age shouldn’t wear certain things! I defy all these “rules” and encourage my readers to do the same. I have a few collaborations in the works and will launch my NikkiFreeStyle Makeover series this summer. I also have some signature events I plan to produce that I think the class curvy community will adore and come to anticipate on an annual basis. Embracing, celebrating loving every inch, bump, dimple, curve of your body! It means being completely in love with who you are and living your very best life! Be sure to check out Nikki’s blog at NikkiFreeStyle.com!!! Love All of her looks. She is so inspiring! Woot woot! Thanks TCF Team! Her personality seems to equal her fashion srnse! Love her! Where did the clothes come from? In particular the dresses and romper? Also what are your thoughts when you see something you like ALOT but unsure how you would look in it? How do you talk down the negative self talk?